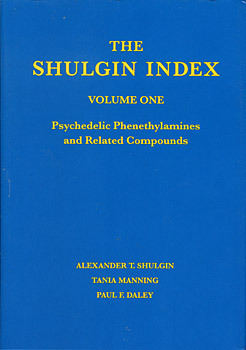 Alexander Shulgin, Ph.D., is a pharmacologist and chemist known for his creation of new psychoactive chemicals. After serving in the Navy, he earned his Ph.D. in Biochemistry from U.C. Berkeley in 1954. In the late 50s and early 60s he did post-doctorate work in psychiatry and pharmacology at U.C. San Francisco, and worked briefly as research director at BioRad Laboratories before becoming a senior research chemist at Dow Chemical Co. After leaving Dow in 1965 to become an independent consultant, Sasha taught public health at Berkeley and San Francisco General Hospital. Tania Manning is a close friend and personal assistant to Sasha and Ann Shulgin. She is currently archiving Sasha and Ann's life's work, and is also involved in preserving the works of other elders in the field of psychedelics. Tania has worked as a videographer on many projects, and has spoken at events sponsored by Erowid Center, MAPS, and the Women's Visionary Congress. Paul F. Daley, Ph.D., received his bachelor's degree in Environmental Toxicology at U.C. Davis, and earned a Ph.D. in entomology at U.C. Berkeley in 1981. He is involved in environmental research and instrumentation science, and has published on topics ranging from experimental plant physiology and environmental remediation, to synthesis and detection of isotopically labeled compounds for pharmaceutical research and environmental tracing. Since 2007, Dr. Daley has been restoring the Shulgin Laboratory.